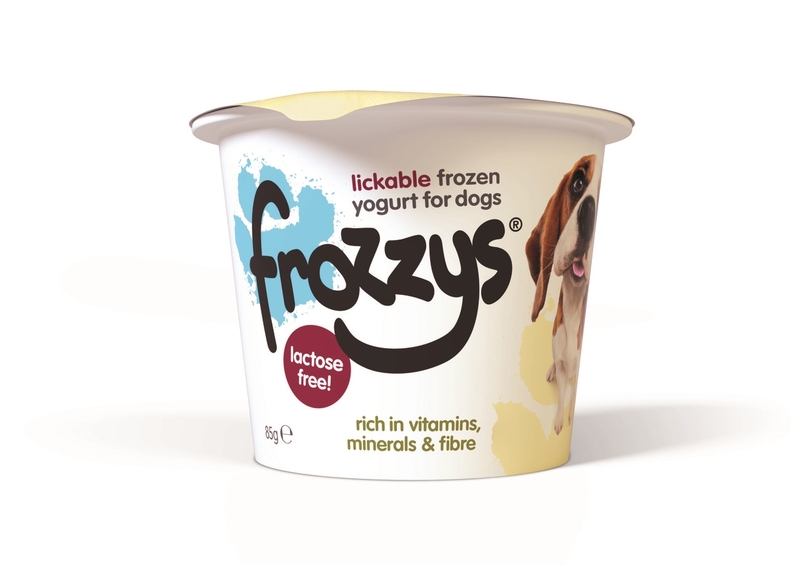 Frozzys - The new lactose free lickable frozen yogurt for dogs, rich in vitamins, minerals & fibre. It's the healthy everyday complimentary food for good doggies. Made in the UK from all natural ingredients. Available in individual packs or packs of 4. Can also be defrosted & poured onto kibble to entice fussy eaters.